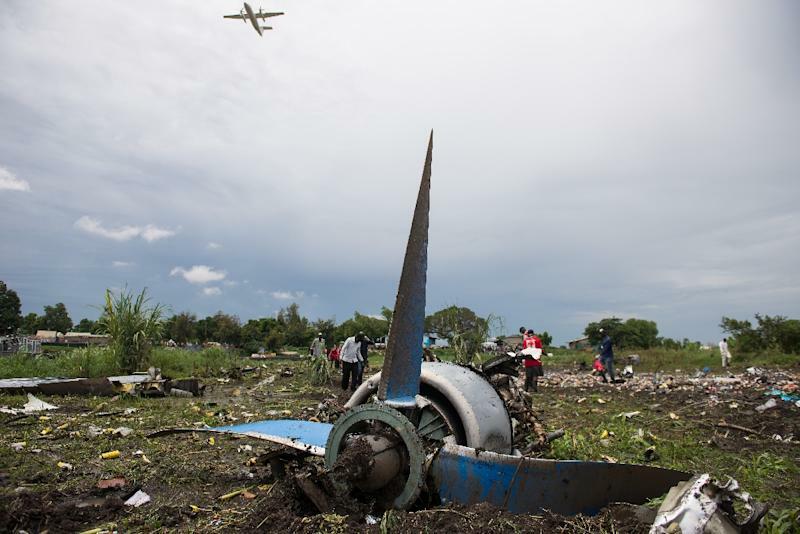 Juba (AFP) - Investigators in South Sudan have found the two black boxes from a Soviet-era Antonov plane which crashed last week killing at least 36 people, state radio said Tuesday. Minster of Transport Kuong Danhier Gatluak "admitted the country is not well equipped to handle certain disasters", state-run Radio Juba said, but added that search teams had recovered the two black boxes from the plane, which smashed into a river bank just after take-off from the capital Juba on November 4. There were only two survivors: a man and a young baby girl, who are both recovering in hospital. Funeral services were held on Sunday, when 22 of the victims were buried in a mass grave. Dozens of passengers were illegally on board the An-12 cargo plane, which crashed into a farming community on an island in the White Nile river seconds after departure. No details were given of when investigators would release their findings from the recorders. Cargo planes serving remote parts of South Sudan often carry passengers as well as goods, and are commonly overloaded. Juba's airport is the busiest in the war-torn country, which is the size of Spain and Portugal combined but has only a few paved roads. South Sudan was plunged into a civil war in December 2013, when President Salva Kiir accused his former deputy Riek Machar of planning a coup, setting off a cycle of retaliatory killings that has split the poverty-stricken country along ethnic lines.